To avoid confusion, I should first point out that there are three different types of spider in the world that are sometimes referred to as "banana spiders." This article is concerned with the golden silk orb-weaver, a spider that is famous for its brightly colored, intricate webs and lives in North America, Australia, Asia, and Africa (including Madagascar). What are some cool facts about banana spiders? How do they construct their webs? What are some human uses of banana spider silk? How are they beneficial to their environment? 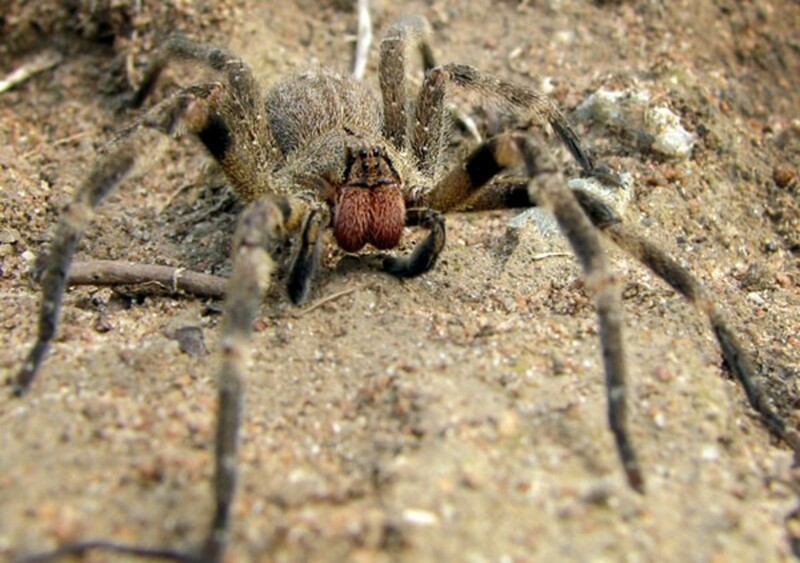 While there are several similar species, this article is not about the Brazilian wandering spider, which is an extremely venomous spider found in Central and South America. Nor is it about the Argiope appensa, a black and yellow spider that can be found on several islands in the Western Pacific Ocean. 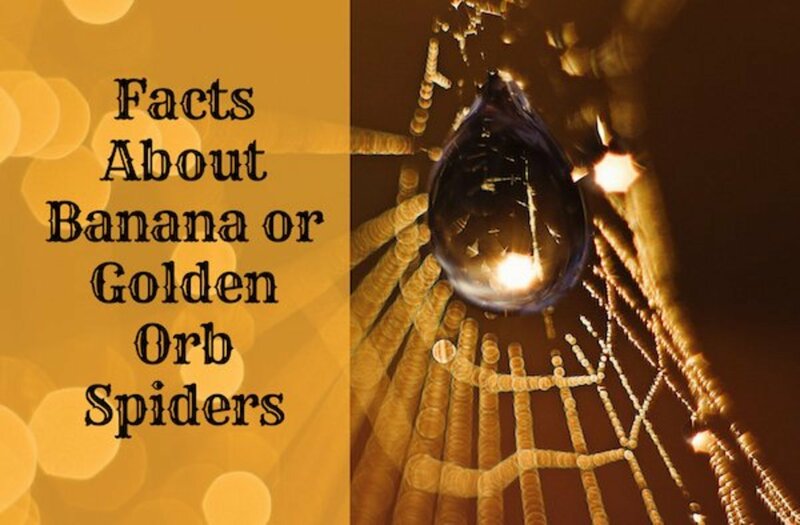 This article focuses specifically on the golden silk orb-weaver spider, which is also known as the golden orb spider, the golden orb weaving spider, the golden orb weaver, the writing spider, or the giant wood spider. It is typically a black and yellow spider with stripy legs, although they can vary in color from reddish to greenish yellow. They are also known as the golden silk orb-weaver, the writing spider, and the giant wood spider. They grow up to about two inches in size, not including leg span. Females are larger than males. Including their legs, some are over five inches in size. There are banana spiders in Africa, Asia, Australia, and the southeastern United States, from Texas to North Carolina. Their web silk is golden in color. The female normally eats the male after mating. 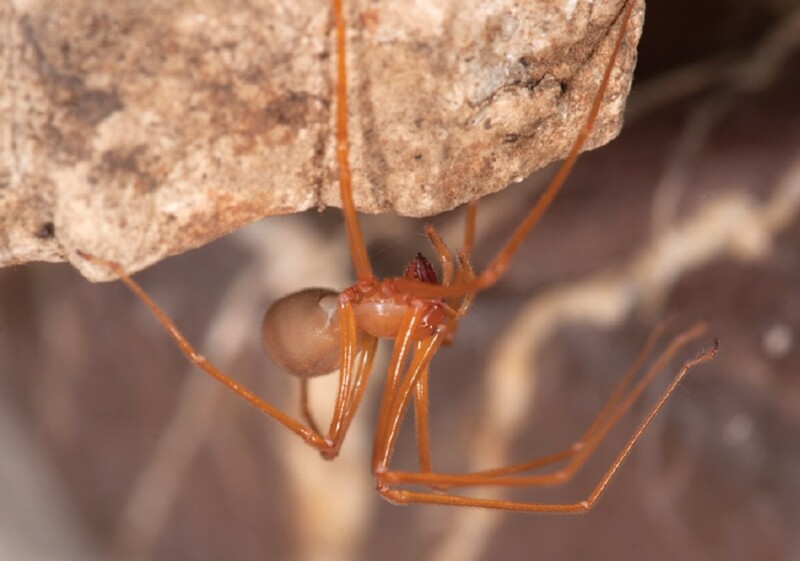 Their species is the oldest surviving spider genus. Fossil remnants are 165 million years old. 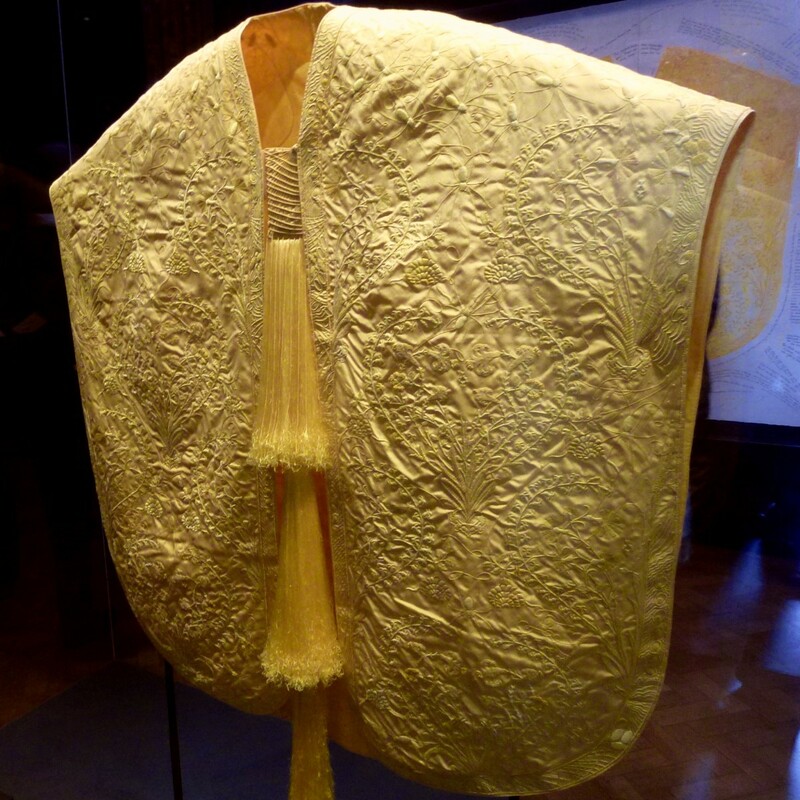 Textiles can be made with their golden silk, including a shawl woven in 2004 and a cape in 2012. Fishermen in the Indopacific Ocean make balls with the spiders' silk. After being tossed into the ocean, the balls unravel and form a net to catch fish. They are mildly venomous, causing redness, blisters, and pain at the bite area. Their Latin name, Nephila clavipes, means "fond of spinning." 2. How Big Are Banana Spiders? They grow up to about two inches in size (not including leg span). If you do include leg span, however, some species of the spider can be measured at over five inches in size. Female banana spiders are larger than males. The biggest banana spider ever known was a 2.7 inch female found in Australia). 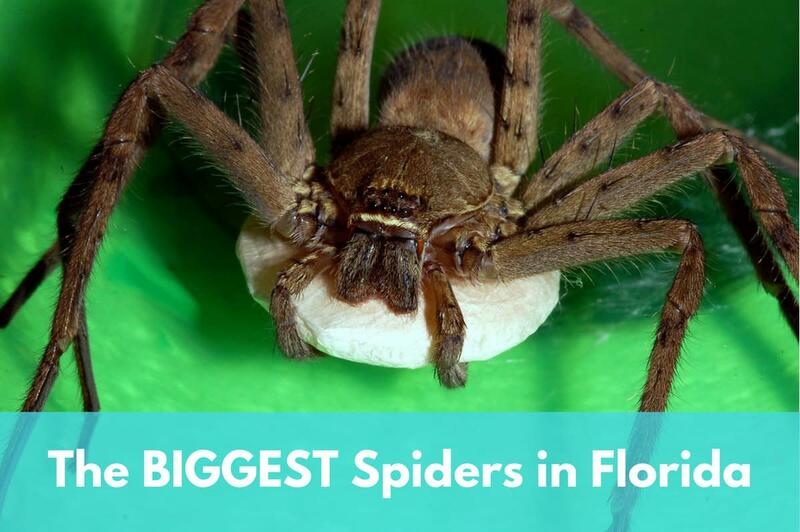 The female of the species is the biggest spider in Florida. 3. What's Their Habitat Like? There are species of banana spider in Africa (including Madagascar), Asia, Australia, and the United States of America. In the U.S., the species is called Nephila clavipes and can generally be found in the southeastern states, appearing as far north as North Carolina and as far west as Texas. 4. How Do They Construct Their Webs? The yellow silk of the banana spider's web gives the golden orb its name. The silk appears golden when it shines in the sun and the webs are extremely complex. They can be as wide as one meter across. The yellow coloring serves two main purposes, according to scientists: First, the sunlit web attracts and traps bees that are drawn to the bright silk strands. Second, the color blends in with background foliage, acting as camouflage in darker and shadier conditions. The spider starts by building a non-sticky spiral and then fills in the gaps with sticky silk. The banana spider can vary the color of the web to maximize its effectiveness in terms of background light and color. The web needs regular maintenance in order to keep it effective for ensnaring prey. 5. What Are Some Human Uses of Banana Spider Silk? There have been attempts to make clothes from the spider silk in the past. At the Paris Exhibition of 1900, for example, there were two bed hangings created and put on display. In 2004, a shawl was produced by a textile designer (Simon Peers) and an entrepreneur (Nicholas Godley), which used the silk from golden silk weavers collected in the wild. It took over three years to finish and the shawl was exhibited at the American Museum of Natural History in 2009. In 2012 the same pair succeeded in making a larger garment, a cape. Both the shawl and the cape were shown at the Victoria and Albert Museum in London, England. 6. How Are They Beneficial to Their Environment? Both adult and juvenile banana spiders are predators. They are considered very beneficial farm and garden insects, as they eat a wide range of flying prey, including small to medium sized flying insects. Banana spiders are rarely found in areas of row crops, because they need places to build their webs, but they are one of the most common orb-weavers in citrus and pecan groves. Are these spiders venomous? The short answer is yes, but only mildly. The venom is similar to that of a black widow spider, but nowhere near as strong and not fatal under normal circumstances. A bite will typically cause symptoms such as redness, blisters and pain around the bite. These symptoms will normally go away after a day or so. Allergic reactions to the venom are rare, but may cause breathing problems and muscle cramps. If this happens, then medical advice should be sought immediately. It should also be noted that like most spiders, orb weavers can be useful to people, especially gardeners, because they kill insects, such as fruit flies. 8. How Do Banana Spiders Reproduce? Banana spiders molt in several stages. 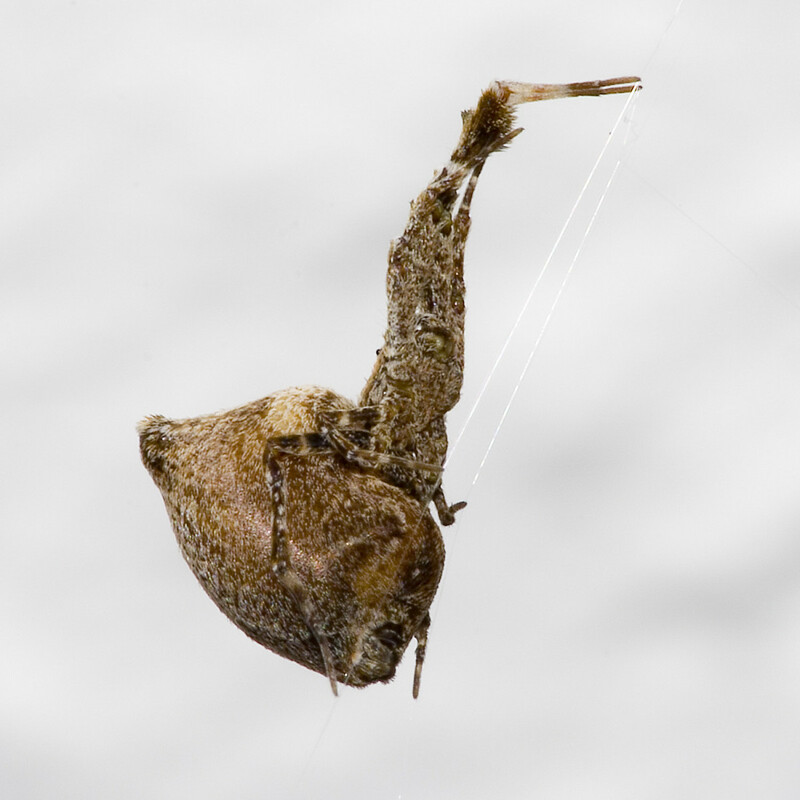 About four days before reaching her final molt, a female stops eating and repairing her web. She is sexually active at this point. When a male approaches her for copulation, he vibrates his abdomen using a plucking motion. This activity arouses the female and prevents her from eating him (at least, for the moment). Once inseminated, the female spins at least two large (about an inch in diameter) egg sacs on a tree. These sacs each hold hundreds of eggs and are surrounded by curly, yellow silk. The male guards her as she does this. 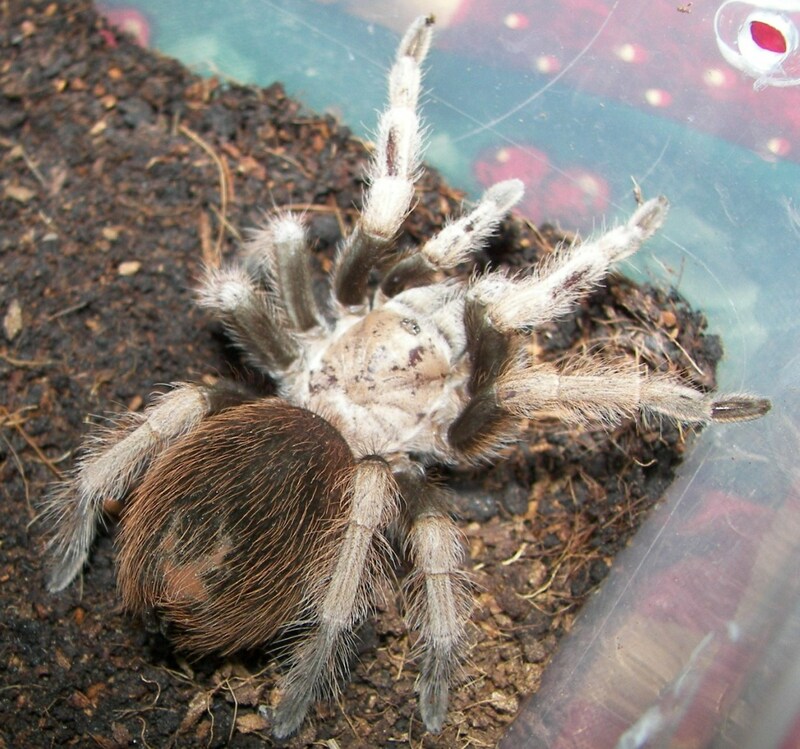 After the final molt, females can live up to a month, while males live from two to three weeks. Females may change web sites and male partners throughout adulthood. Banana spiders produce one generation per year in North America. While nearly all spiders have venom that is used to stun or kill prey, only a few spiders produce venom that is toxic enough to truly harm humans. Most of our fear of spiders is not founded in scientific fact. Generally, they are harmless to people. The arachnid family doesn't just include spiders. Scorpions, mites, and ticks are also part of the arachnid family. Arachnids are creatures with two body segments, eight legs, and have no wings or antennae. They are also unable to chew. Insects have six legs and three main body parts. Most insects have wings. Spiders are classified into a special group called the Araneae that separates the spiders from other arachnids. In short, yes, they almost all have venom in them. However, most spider poison will not harm people because it is quite weak. Most spiders use their venom to paralyze their insect prey just long enough to devour it. Producing venom requires energy and spiders, like all arachnids, don't want to waste more energy than is absolutely necessary for their survival. That said, some spiders have venom strong enough to actually kill their prey. The most famous spiders are the ones that produce deadly venom, but there are thousands of species of spiders and they all have adapted to their environments in different ways. Some spiders find prey underwater and are adapted to dive under the surface, where most spiders fear to tread. Others adopt behavioral adaptations suited to their environment. 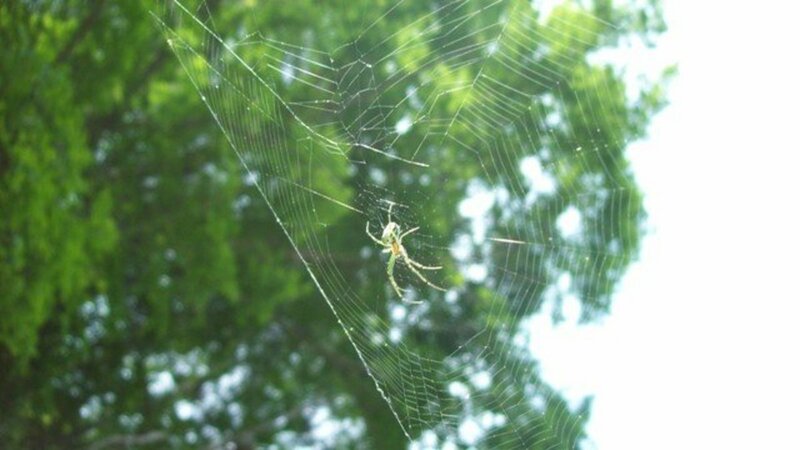 Spiders design different shapes to their webs in order to catch different kinds prey. Some spiders do not design webs at all. Few creatures vary in size more than spiders do. Some spiders are hundreds of times the size of other spiders. Given that arachnids emerged onto the evolutionary scene hundreds of millions of years ago, they vary in staggering ways. Phoneutria is a genus of venomous spiders in the family Ctenidae of potential medical significance to humans. They are mainly found in tropical South America, with one species in Central America. 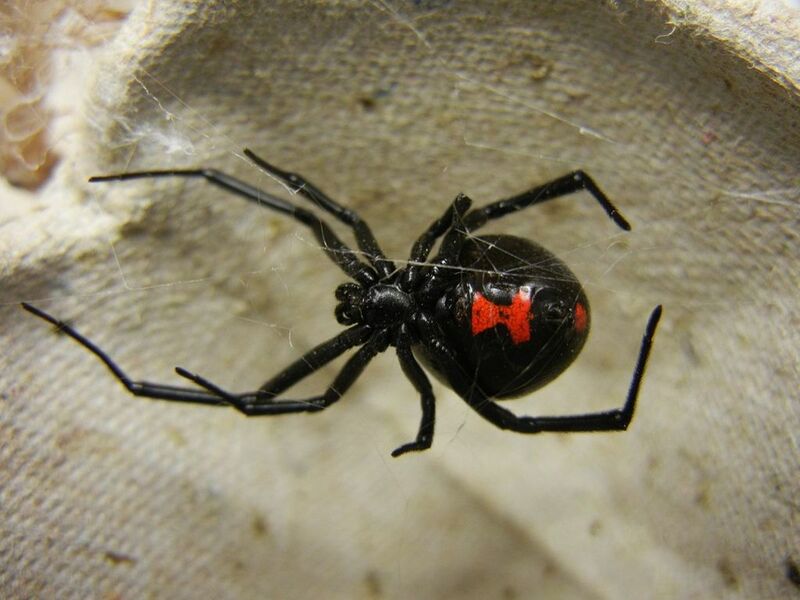 Latrodectus hesperus, the western black widow spider or western widow, is a venomous spider species found in western regions of North America. 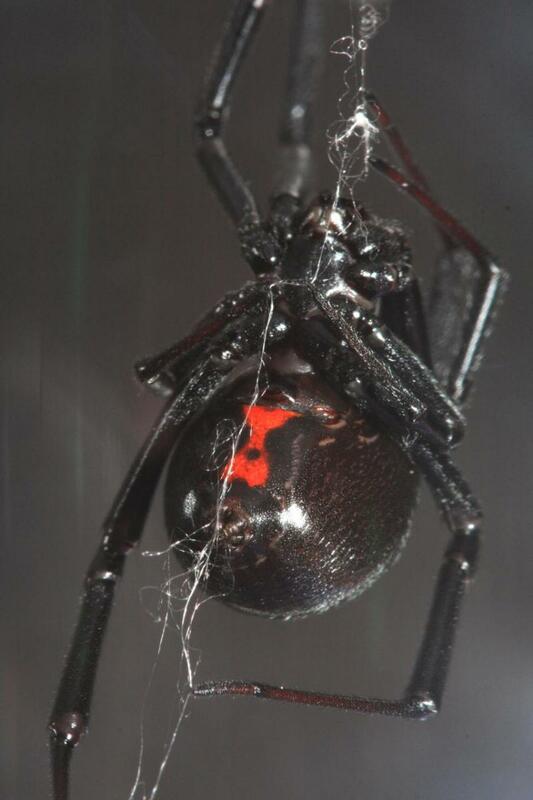 The female's body is 14–16 mm in length and is black, often with an hourglass-shaped red mark on the lower abdomen. 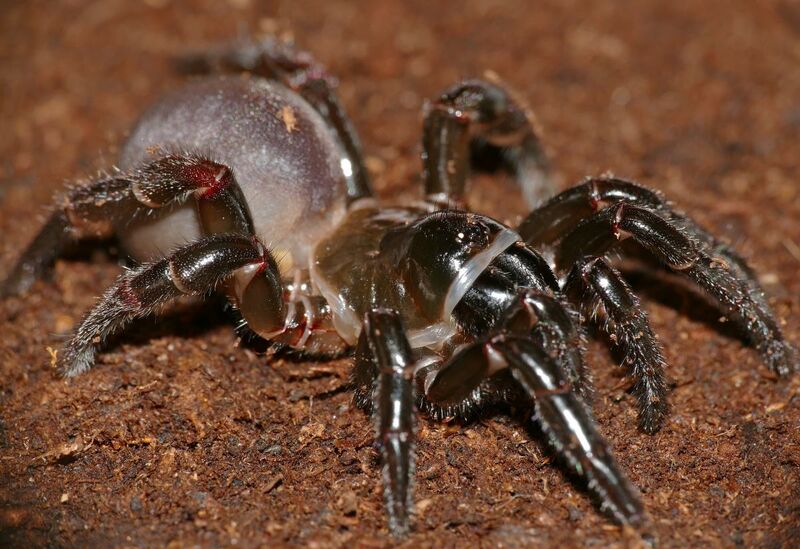 The Sydney funnel-web spider is a species of venomous mygalomorph spider native to eastern Australia, usually found within a 100 km radius of Sydney. 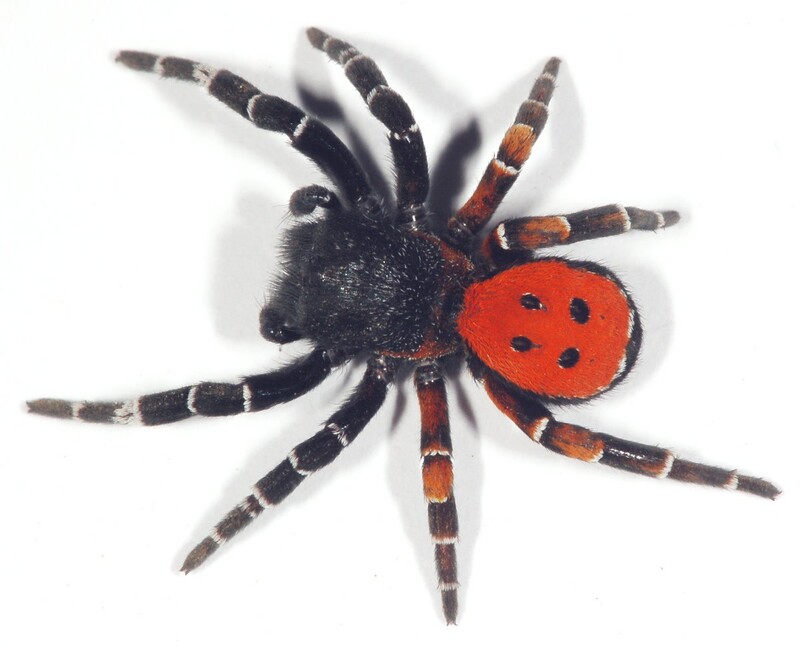 It is a member of a group of spiders known as Australian funnel-web spiders. Its bite is capable of causing serious illness or death in humans if left untreated. The Chilean recluse spider is a venomous spider, Loxosceles laeta, of the family Sicariidae. 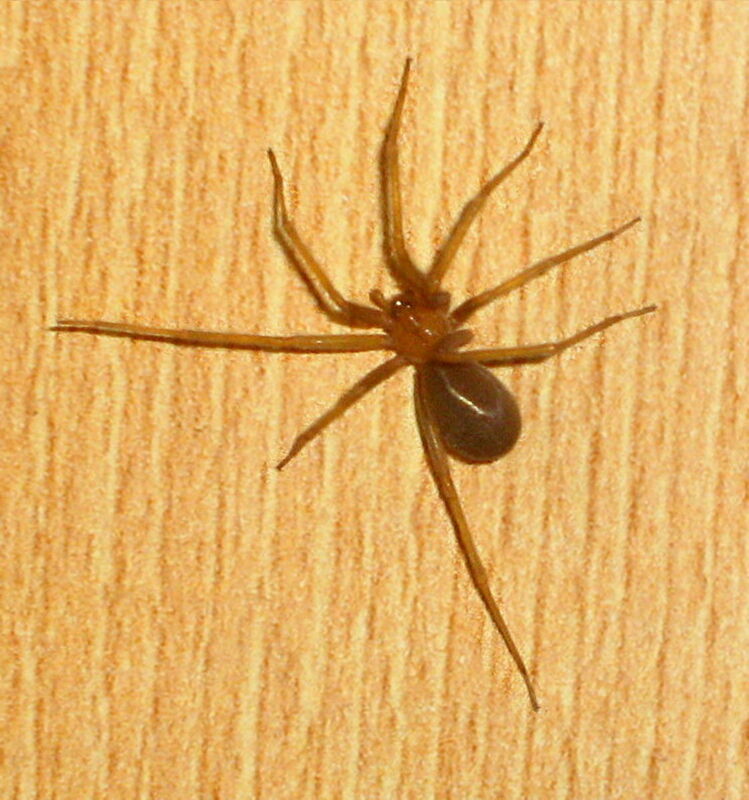 In Spanish, it is known as araña de rincón, or "corner spider"; in Portuguese, as aranha-marrom or "brown spider". Why Are Some Spiders Colorful? 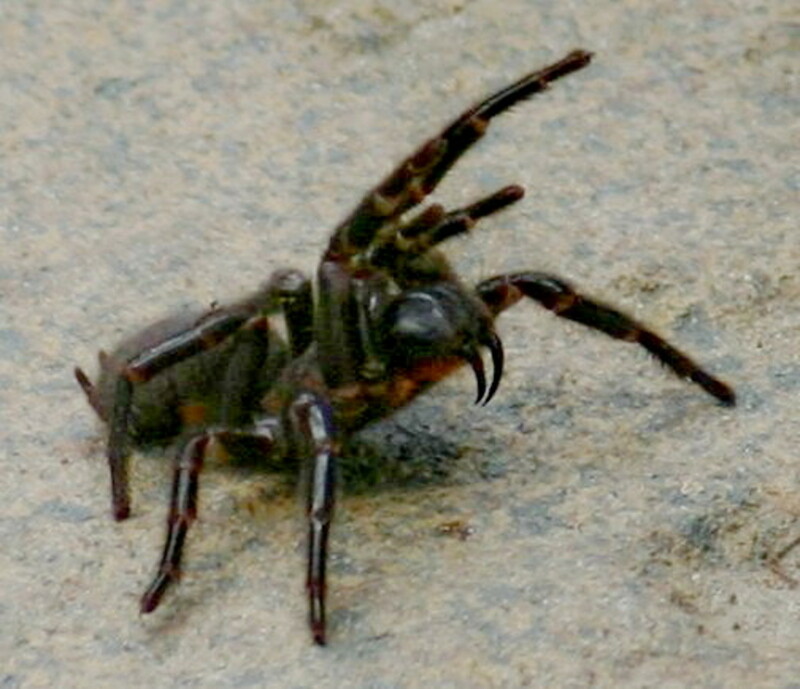 Many spider males have brightly colored faces, legs, and knees. 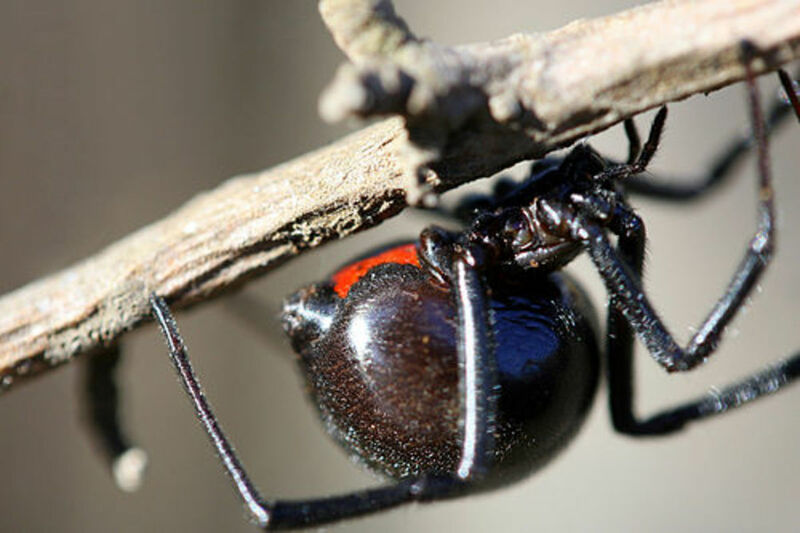 These may be used for camouflage, mating displays, or, in the case of the black widow, they may be a warning about the spider's poisonous defenses. Some spiders see in color spectrums that are not possible for humans. This can explain why, sometimes, a spider's color does not match its environment. Remember, camouflage is not the only reason for why creatures are colorful. 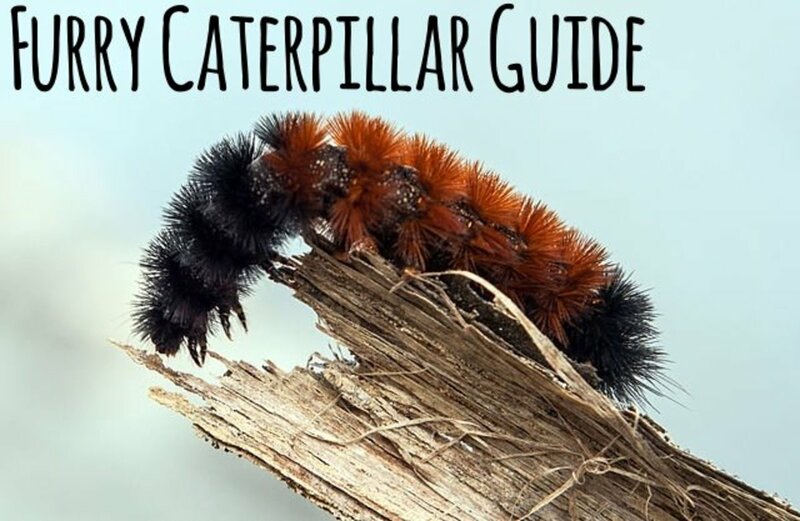 Let's take a look at some of these colorful critters below! Why Do So Many Spiders Use Camouflage? Camouflage through color change might be used in order to hide from a predator or from prey on flowers or different colorful surfaces. 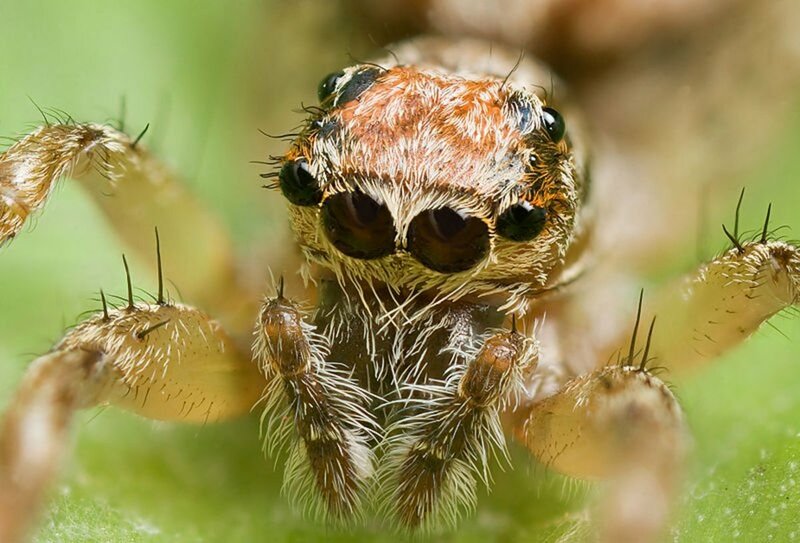 Numerous species of spiders are very efficient at tricking the eyes of their predators or their prey. Spiders can be colorful for a variety of reasons. These color adaptations produce some of the most beautiful species. Let's take a look at a few of them below! The Brazilian crab spider (Epicadus heterogaster) is one of the most beautiful of the neotropical crab spiders. Ranging in colour from pure white, to cream, to yellows and pinks. Nestled amongst flowers the modified abdomen helps it blend in and avoid detection from potential predators. 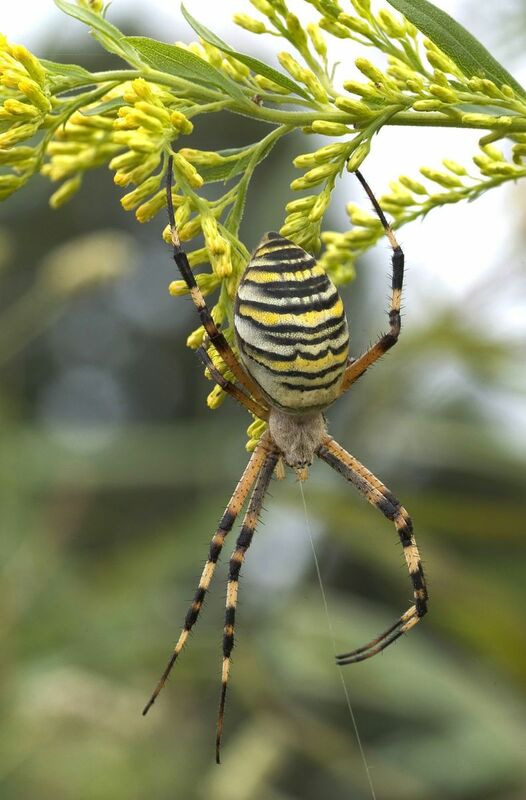 Argiope bruennichi is a species of orb-web spider distributed throughout central Europe, northern Europe, north Africa, parts of Asia, the Azores archipelago, as well as recent sightings in North American states such as North Carolina and Ohio. Maratus volans is a species in the jumping spider family, belonging to the genus Maratus. 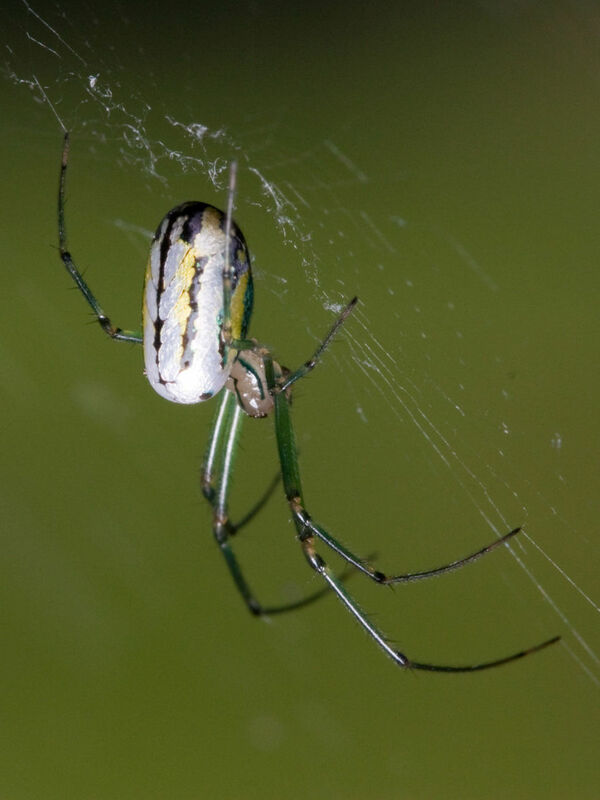 Leucauge venusta, known as the orchard spider, is a long-jawed orbweaver spider that occurs from southern Canada to Colombia, along the East coast, reaching into the central US. The web is often oriented horizontally, with the spider hanging down in the center. 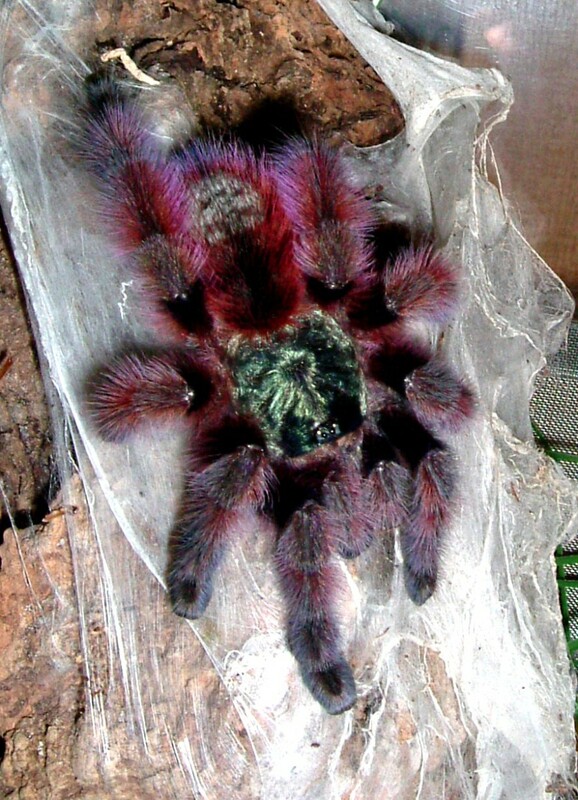 The Antilles pinktoe tarantula, also known as the Martinique red tree spider or the Martinique pinktoe is popular as a spider pet because of its docile character and unique coloration. Previously placed in the genus Avicularia, C. versicolor is native to Martinique in the Caribbean Sea. The evolution of spiders has been going on for at least 380 million years. The first true spiders were thin-waisted arachnids that evolved from crab-like ancestors. The ancestors of spiders lived in the water. Attercopus fimbriungus is an example of one of the first definite spiders, meaning that they had silk producing spinnerets. Over such a long time, many strange adaptations have taken place amongst spiders. Let's take a look at some of the strangest spiders on earth. They have been documented in the wild to live up to 35 years old. When an insect, such as a grasshopper wanders by, the ogre-faced spider throws its web as a fisherman would cast a net. The feather-legged orb weaver is a member of the Uloboridae family, the one North American spider family without any venom at all. It does not take threats lightly. It will stand on its hind legs and flare its long fangs before chomping down on food or an enemy. The spider is at least five inches across. Until 2012, no one knew it existed. It was the first new family of spiders to be added to North America since 1890. Live Science, "Types of Spiders & Spider Facts"
Planet Save, "Banana Spider—Golden Silk Orb-Weaver Facts, Pictures, Bite Effects, Etc." Insect Identification, "Golden Silk Orbweaver (Nephila clavipes)"
Would a Golden Orb spider bite humans immediately when they crawl on them, or would they just crawl on them and only bite if provoked? They would be unlikely to bite in that situation unless they felt physically threatened. They are timid and prefer to escape from humans when possible. When do gold orb spiders come out? 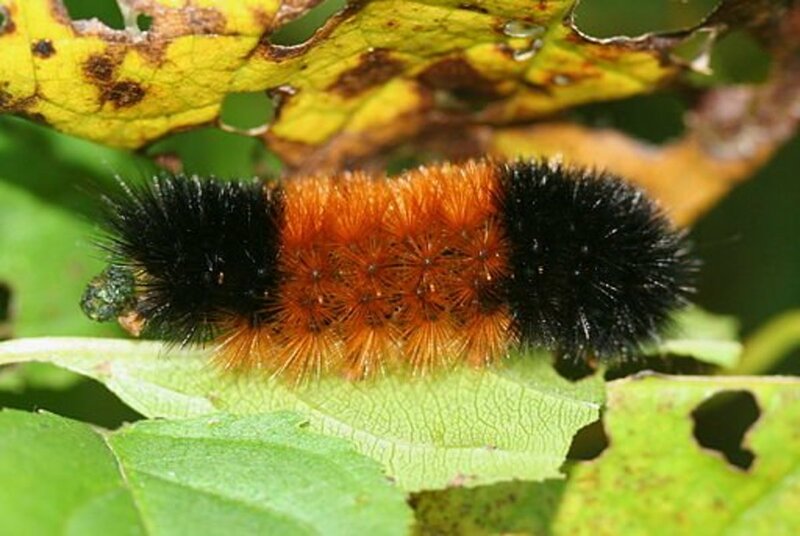 You are most likely to see them in the Summer months. They can be seen day or night. Do banana spiders eat bananas? No. Banana spiders mainly eat flies, beetles, and other small bugs. Occasionally they will eat bigger creatures like locusts or small birds. They are called banana spiders possibly because their webs are yellow. What eats golden orb spiders? Birds are the main enemy of golden orb spiders. 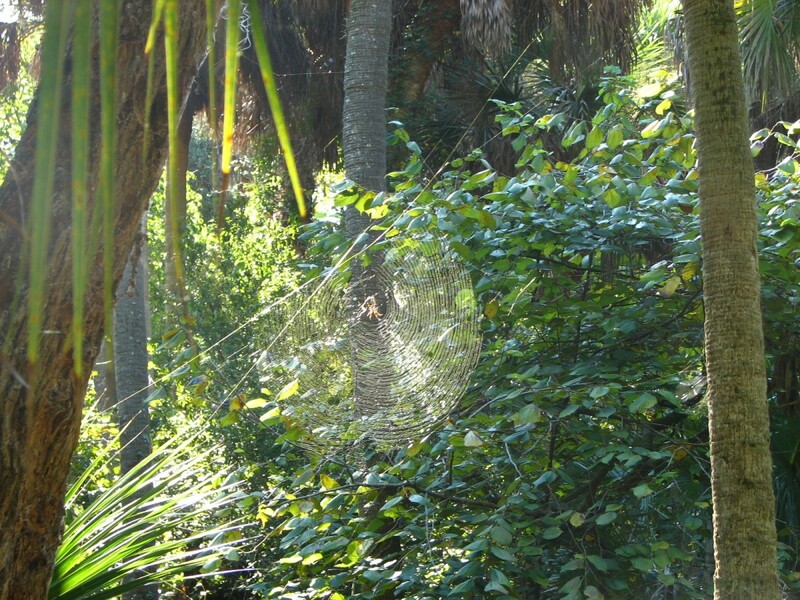 To counter the threat, golden orb spiders typically build a "barrier web" in addition to the main structure. Will golden orb spiders bite my dog? If cornered, yes they will bite, but they are very good at getting away. They normally position themselves near the center of their web, several feet above the ground. If they detect danger, however, they will scuttle off into the shadows. Why they are called banana spiders? Ate they found on banana skin? 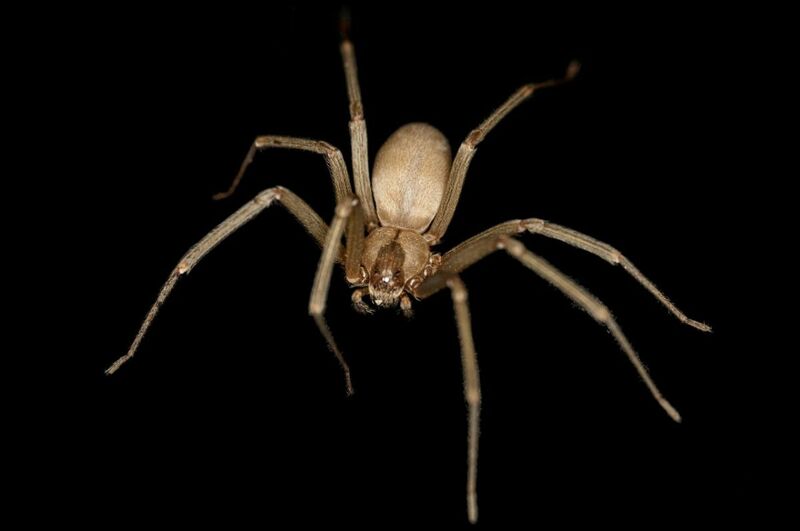 In the case of the golden orb spider, the likely explanation is that their webs are yellow, the same color as a banana. How venomous is the banana spider? The bite of a golden orb spider is not considered to be dangerous for humans. Its venom can affect very small prey, but is inconsequential for people. you did not list the size of the web or what the web could be compared to!!! Clavipes mean clubbed foot or knotted foot. Here in Texas we have huge spiders we know as "banana" spiders. They look much like the spiders on your site. Yellow legs, black knees, etc.... Ours had a huge abdomen, and she put up an intricate zig-zag web. Then she disappeared, her awesome web intact. I can only hope that she lived through her life cycle and did her thing. My dad said I was bit by a banana spider. And I now don't think so now. The bite was a red bump that had a bad itch to it. One time I had one right on the bottom of my foot and it made me mad when I walk. You failed to mention the Banana Spider is found in the Philippine Islands. humans should this silk as a object and more support on the san francisco bride and police vest. 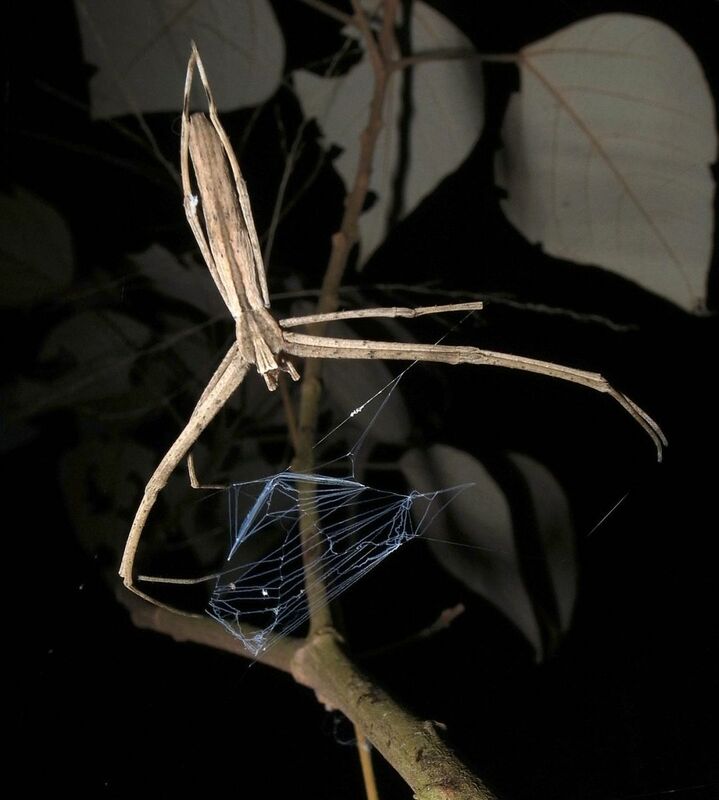 I'm doing a presentation on this spider, I need to know...What is the Banana Spider's life span? We have these spiders in Iowa! We have acreage with lots of trees. They are sometimes found in the garden. We used to live in Florida but that was 15 years ago. Are they native to Iowa? I just noticed one under my eve outside in Pensacola, same web structure as in your photo. Pretty cool critters as long as they're not on me. I got about a four inch one on me while on a horseback ride in the woods. Yeesh. Hello!! I'm from Brazil, and i really wanted to catch this spider, but I do not know if it presents any medical danger. Or if your sting can hurt a lot ... Can I take it in my hand without manual experience? I read your article here and the one about the largest spiders in Florida, respectfully, I don't think you've encountered any Huntsman Spiders. I have seen ones with at least five inches of body. They are sometimes called clock spiders. I feel bad killing them, as they aren't aggressive and I think no more dangerous than a banana spider. Unfortunately, they don't respond to being chased out of the house well, and aren't desirable as a roommate. I don't see them since moving to North Florida, but they are not hard to find in South West Florida. Outside of my living space I would leave them alone as they eat annoying cicada and other pests. There was one that lives behind my shed in Bradenton that we called "Linebacker" because he or she was so big, I'm not expert enough to tell spider gender. I also never came close enough to take a measurement, but I would say his body was between 6" and 7", approximately. Thanks for the articles. WITH AN ACRE OF PROPERTY AND NUMEROUS TREES AND SHRUBS . THESE PESKY CRITTERS ONLY SEEM TO ARRIVE IN LATE JULY / AUGUST . I WALK AROUND THE YARD WITH A LONG STICK , I FIND MOST OF THEM ....HENCE ...REMEMBERING THEIR LAST VISIT. THEN ! LET THE FENCING BEGIN ! UNGUARD !!!!! THEIR STICKY WEBS DOWN COME OFF WHICH IS HELPFUL IN ALLOWING THE NEXT ONES TO GET STUCK !!! BESIDES THAT ....CONTRARY TO THEIR BENEFICIAL EXISTENCE IN MY YARD ! ? I LOVE MY BEES ! MY BUTTERFLIES ! AND DRAGONFLIES ! I have about 10-20 banana spider outside my house and they haven't bothered me but they will hurt me if I bother them so I have learned my lesson because it bit me and it was really bad. i have a male and female in my tree in Aiken S.C. Living outside a window, with its male and looks like its baby's. Found in G - ville, fla. Also have a great picture ! I have seen a Wolf spider the size of a grapefruit. It used to live in my hotwater heater closet. Definitely bigger than any Banana spider I have seen! are they dangerous to great horned owls???? My wife and I are in Jamaica and she almost walked into a web. These things are beautiful, but I imagine very intimidating. She's freakin' terrified, but they seem innocent enough. I have a female outside on my front porch by the door. It has a pretty big web. There was a male but he is now dead in the web. I suppose he won't be leaving his dirty clothes on the web floor anymore. I was holding a can of raid earlier and was about to spray but I didn't. I found this page so I'll leave her there to eat bugs. She was very pleased to have the huge moth I put in her web. It was missing a big leg and was going to die soon anyway. She is quite pretty but it's a little inappropriate for her to leave the dead dude flapping around her web for days now. Although fascinated with spiders, I have MAJOR arachnophobia. I can handle it, though, even picking up a house or small wolf spider and throwing it outside (I hate killing things), just as long as I see it first. But, if one surprises me, or I walk into a web unsuspectedly... IT'S ALL OVER !!! 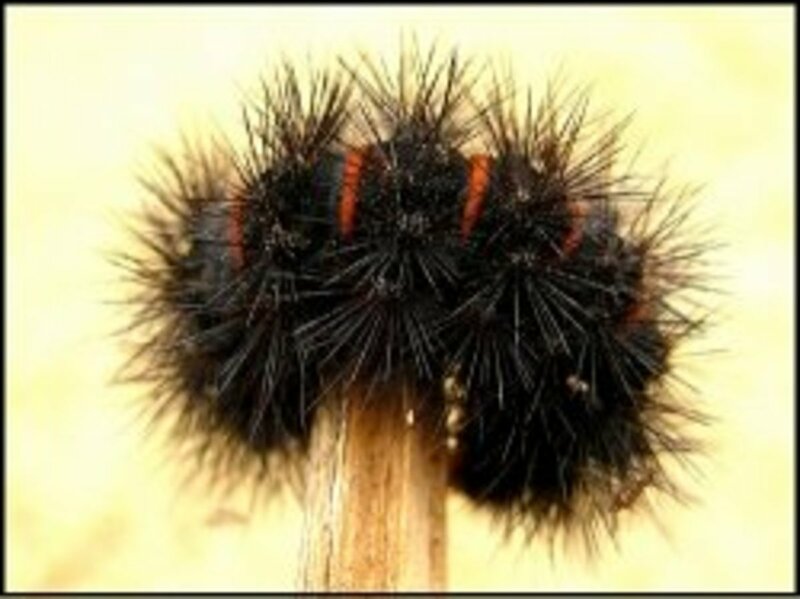 I looked up this article just to confirm whether or not these things are poisonous. Maybe they're not. But, if you've seen how big these muthas get it Texas... IT DON'T MATTER !!! I still, and forever will, get significant heebee-geebees around them. Oh, and, by the way... Has anyone ever witnessed one actually make its web oscillate like a trampoline? Now THAT'S somethin' to see! Wow, that's a beautiful web! I used to live on Merritt Island for a short while and the wildlife there is amazing! More resources should be put toward making more of the island a wildlife sanctuary! 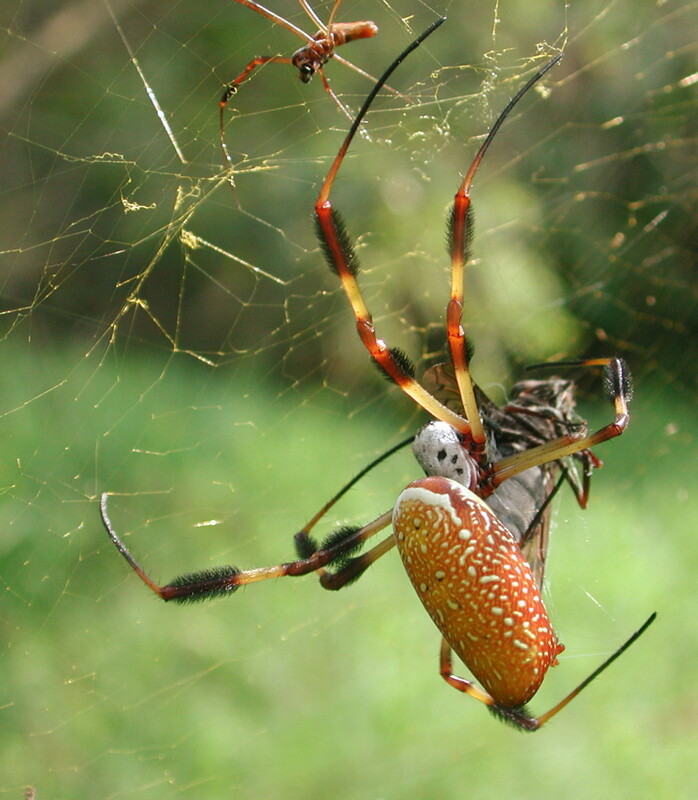 Great article on the banana spider, I didn't know there was a North American species! When I first came to Daytona Beach in 2003 I'd see banana spiders around the Tomoka River and at Hale Plantation in Gainsville. They have walking trails in woodsy areas. Is it my imagination but are these fascinating spiders disappearing? Also I had a job that I delivered with and every once in a while I'd stop the truck to pick up a land turtle that was in the road but haven't seen a turtle in a long time. I think wild life is slowly disappearing, it's not just the tigers & geraffes that are going away. I have a banana spider next to my electric meter. She has 4 egg sacs at the top of her web. She's black & yellow. I don't bother her. No male, maybe she ate him. She has been out back about a month. In Newbern,TN. 10/16/16. I have been watching a banana spider outside my bedroom window for a few weeks. Suddenly it has disappeared. The web is intact so where has she gone? I have one much larger than any of the pictures i see on this sight. My neighbor also has one very large in size. Down the middle of their web is a beautiful stiching which i don't see in any webbing in these pictures either. We have the same spider who moved into my petunia plant. She started out small and we have watched her grow into a huge beautiful black and yellow spider. Then she started catching the big Japanese wasps. She is very interesting. Well, I thought my spider was an argiope, and a friend said it was a banana spider. I checked your website, and it's a banana spider. It's a beautiful spider. I see them every time I go swimming at the natural spring about 5 miles from my home, they're gorgeous and very docile I am happy to know they aren't very venomous! I live in Alabama. We have them every year. Four of them have built webs on our back porch this summer. Have to weave around to avoid the webs. I leave them alone because they are so interesting to watch. How long do they live? Article was very informative. they eat hundreds of bugs; mosquitoes, wasps, gnats, etc. The ones who have been building webs at my house for 20 years have a 3 inch body and four inches of legs. I am delighted with the huge webs under my second floor eaves just outside my window. Today i saw the male on the web, moving around while she just hangs from the center, waiting. For him? They are beautiful spiders. I seen one around my storage shed last week and it had made a beautiful web. However it is still a very creepy looking spider. 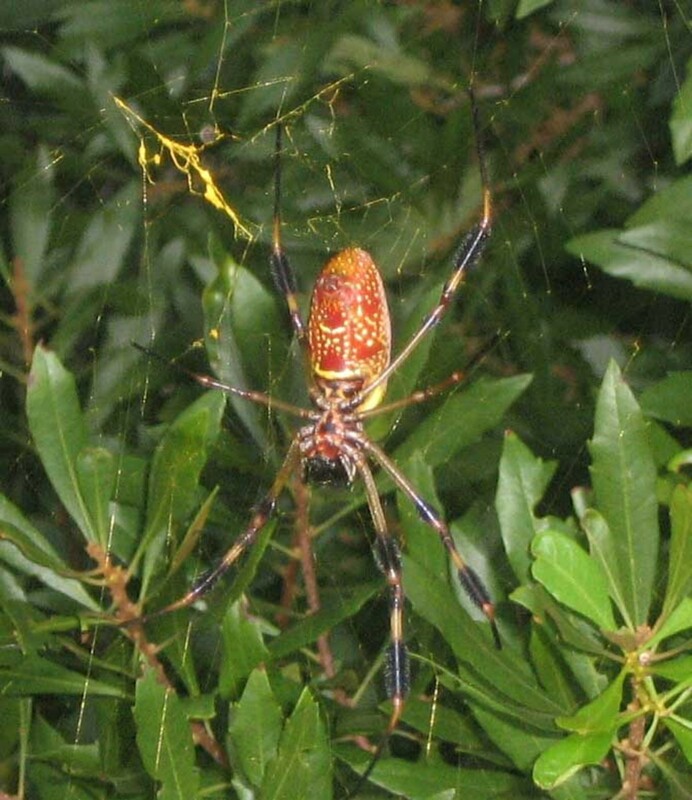 I live in Jacksonville, FL and my backyard that backs up to a nature preserve has about 10 large banana spiders around my back porch. They weren't there 2 weeks ago and now it's covered with them. Guess that explains why wasps are not building nests on my porch. I've seen them every year since I live in FL. So not uncommon, but my girlfriend was freaking out when I pointed them all out to her today. This was the first time I've seen several webs in close proximity of each other. I got some decent pictures today, but will try and get some more that show all the webs tomorrow. You wrote a great and interesting article, thanks! Stopped by because I'm thinking about writing a hub on the banana spider myself and have a nice picture of one that was hanging from the outer eave of the garage. 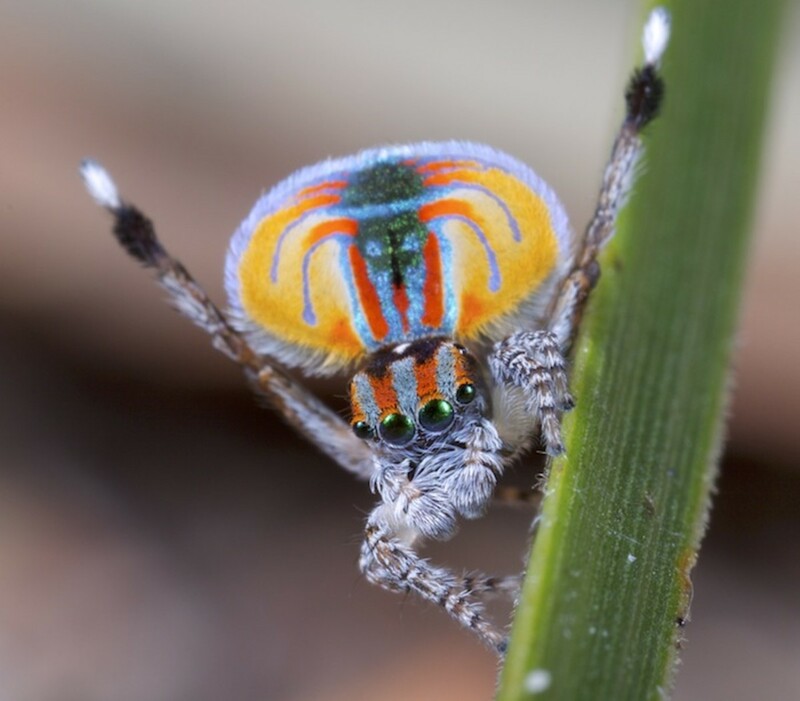 It is a colorful spider, certainly. The one I saw, however, was bigger than two inches--closer to four, I'd say, measuring from the tip of a front leg to the tip of a back one. The garments from the spider's silk are amazing. I don't weave myself, but I have met people who do. The silk must have a fair strength (I've never messed with it). The fact that some native fishermen use the silk is also interesting. I also didn't realize that these spiders were among the oldest living genus on earth. I found one in my house today I'm not sure if it is a banana spider but it looks like one and it's web is white not golden.is this a different type of spider and if so what type? If its a different type is it harmfull? Yea thanks I live in Louisiana and the other day I went Muddin in the woods and ran right through the web of a banana spider's web. The spider and the web were on my head-_-! I didn't know if they were poisonous so thank you for giving me that information. Loved the hub, although it left me slightly confused. 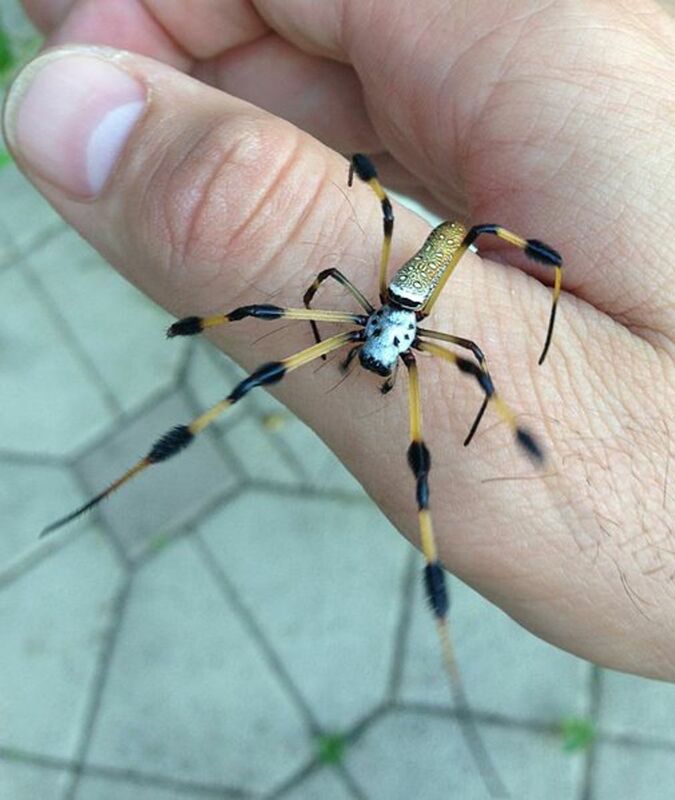 In Okinawa, a tropical island south of mainland Japan, I saw spiders almost 5 inches across that everyone called "banana spiders," does the 2 inches refer to their main body, or are legs included? The one's in the jungles on Okinawa looked darker and their abdomen was more angular, but the web was still rather large (I managed to see several up close; I almost walked face first into one) and golden. Generally they eat various insects that fly into the web, such as flies, bees, wasps, moths. They have been known to eat small birds, however. what do banana spiders eat ?